T-Fitness puts each fitness equipment through its paces. Then our team of sports scientists, serious athletes, and service technicians of many years of experience evaluate the products of different categories. Compare easily the products using the T-Fitness expert review and find your appropriate equipment. The Finnlo multi-gym Autark 2200 offers a great variety of exercises. 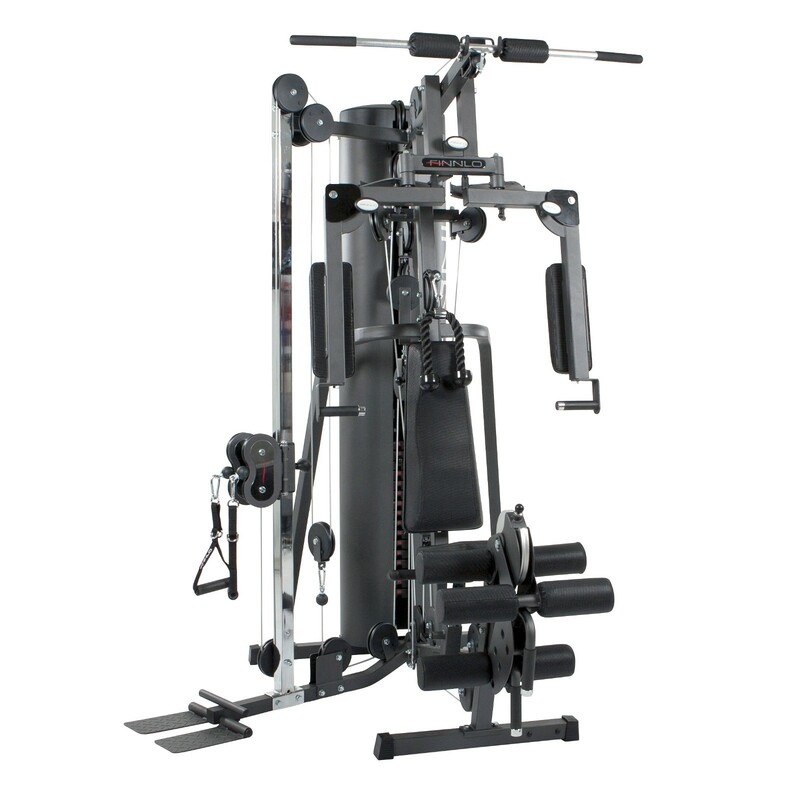 It includes, among others, leg extension and curl, a lat pull, butterfly, chest press, rower pull, and a vertically freely adjustable cable control. For further information on possible exercises and the quality of the exercises which can be performed, please click here. In contrast to many other home fitness modules, the lower cable control is attached on the side of the machine. It makes the multi-gym Autark 2200 more space-efficient and offers an even better traction movement thanks to the shorter cable control. The Finnlo multi-gym Autark 2200 offers a very varied strength training at home with its many push and pull units. Unlike many other home fitness units, the Finnlo multi-gym Autark 2200 provides adjustment possibilities for backrest and seat to adjust optimally the multi-gym to your height. The butterfly arms can be adjusted 5 times in angle. An excellent variation of exercises is given. The Finnlo multi-gym Autark 2200 is also equipped with a leg extension and curl unit for special training of anterior and posterior thigh muscles. There is a vertically freely adjustable double cable control attached on the side of the Finnlo Autark 2200 for doing free exercises. The upper, middle, and lower cable controls make crunches, lat pulls or rowing exercises possible as well. Thanks to large feet and sturdy cross tubes, the Finnlo multi-gym Autark 2200 is of great stability for the whole workout. Further information for the exercises can be found by clicking on the name of the exercise. Easy to follow instructions, took 2 days to complete, everything was good apart from the cable tower pole being too short as when using the cables the reach is not that great with the 100kg extension. If it was slightly taller I would give it 5 stars. Station complète mais relativement compacte permettant un grand nombre d'exercices pour la majorité des grands groupes musculaires. Stabilité et bonne facture en font un appareil d'excellent rapport qualité-prix. Je conseille. Das Gerät war gut aufzubauen. Es bietet viele verschiedene Übungsmöglichkeiten und stellt eine perfekte Alternative zum Fitnessstudio dar. 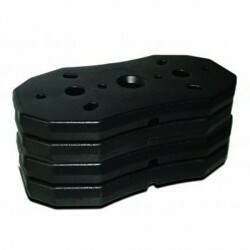 Taurus floor mat set In stock! 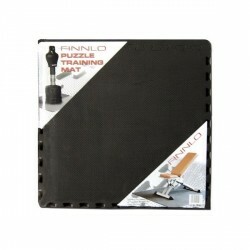 Floor mat Hammer Finnlo puzzle mat set In stock! Sport-Tiedje exercise poster multi-gym In stock! Finnlo leg press for Autark 2200 In stock! Finnlo abs and back machine for Autark 2200 In stock! Finnlo multi-gym Autark 2200 add to comparison list.